Marpac makes some of the most popular models out there, and three are on sale in today’s Gold Box, along with a Marpac-branded oil diffuser, if that’s more your speed. 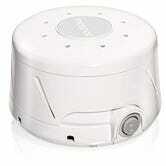 The Dohm is almost definitely the most popular white noise machine ever, with over 13,000 Amazon reviews. 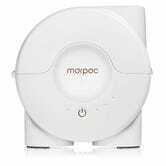 It’s not a speaker, it’s an actual asymmetric fan that runs at two speeds, but you can also adjust the acoustic housing to change the pitch and volume until you find whatever tone puts you to sleep. At $31, it’s never been cheaper. 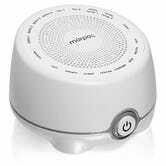 Also included in the sale are two speaker-based white noise machines. 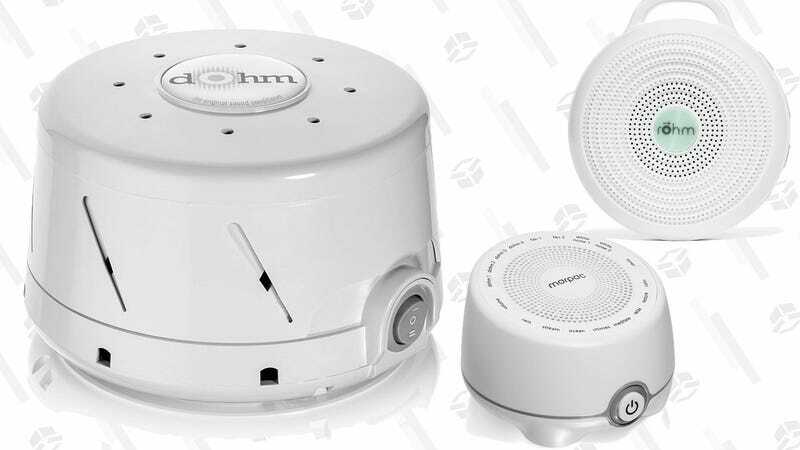 One wtih 16 sounds (including a facsimile of to Dohm’s fan noise), and a battery-powered portable model that can go in your suitcase.